Summary: The idyllic town of Baxter, Michigan, seemed like the perfect place for Dr. Katie LeClair to settle down after years toiling in medical school–until the murder of a patient shattered the peace she had found. Now on the mend and balancing the responsibilities of a new house and the joys of a new romance, Katie is finally ready to start enjoying life. But danger arrives just as the town is gearing up for its annual Halloween festival–and once again, this doctor-turned-sleuth will have to unmask a killer in their midst. Could Katie’s involvement with the case be responsible for the student’s violent death? Is her new patient truly a cold-blooded murderer? Is this Halloween about to become a real-life horror show? 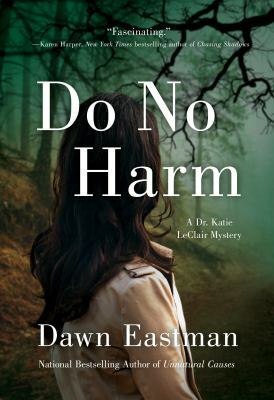 Katie embarks on a desperate race to find the truth in Do No Harm, the second gripping Dr. Katie LeClair mystery. Angie’s comments: The second in the Dr. Katie LeClair series, this can work as a stand alone, but I would recommend reading the first in the series. This is a mystery that is cozyish, but with a sharper edge than some other cozies. The relationships among the families and friends keeps developing nicely. Recommended for readers of cozy mysteries and slightly more darker mysteries.